Is your goal to purchase a home in the near future? If so, there is a checklist of qualification standards you are going to need to meet before a lender will approve your mortgage application. Among other requirements, this checklist includes proof of steady employment and income, acceptable debt-to-income ratios (can you afford a new mortgage payment on top of your other monthly bills? ), and possibly money for a down payment. What thankfully is not included on your mortgage qualification checklist is perfect credit. The idea that you must have perfect credit in order to qualify for a mortgage is a bit of a myth. Yes, you do need credit reports and scores which will meet a lender’s minimum qualification standards. However, most mortgage lenders do not require perfection from your credit reports – not anywhere near it. Although lenders do not typically require flawless credit in order to issue a mortgage, there are certain types of loans which will probably work better for you if your credit history is damaged. Typically the best 2 types of loans for people with poor credit are VA loans (for veterans or active duty military members) and FHA loans. If you are eligible, VA loans may offer you some wonderful benefits such as no down payment and no mortgage insurance requirements. If you are not eligible for a VA loan, an FHA loan may be your best poor credit loan option. FHA loans can come with some added costs (i.e. up front mortgage insurance), but even with these added costs you will likely come out ahead financially if you are able to stop renting and purchase a home. Keep in mind that even if you are able to qualify for a mortgage with less than perfect credit, that does not mean that you should pretend that those credit problems do not matter. You may be able to purchase your home, but your credit problems are still costing you money. However, if you work to improve your credit you might be able to refinance your mortgage down the road, potentially saving money each month and over the life of your loan. If your credit problems are severe, you may find that you cannot qualify for any home loan at the present time. Yet even if you have been turned down for a mortgage, that does not mean that you cannot change your situation for the future. You can always work on improving your credit and apply again down the road. Here are a couple of credit improvement tips which may help you get started. When you apply for a mortgage, the lender is going to check all 3 of your credit reports from Equifax, TransUnion, and Experian. Therefore, if your goal is to improve your credit for a mortgage you should probably start by checking all 3 of your credit reports as well. You can access your credit reports (not scores) for free online at AnnualCreditReport.com each year. 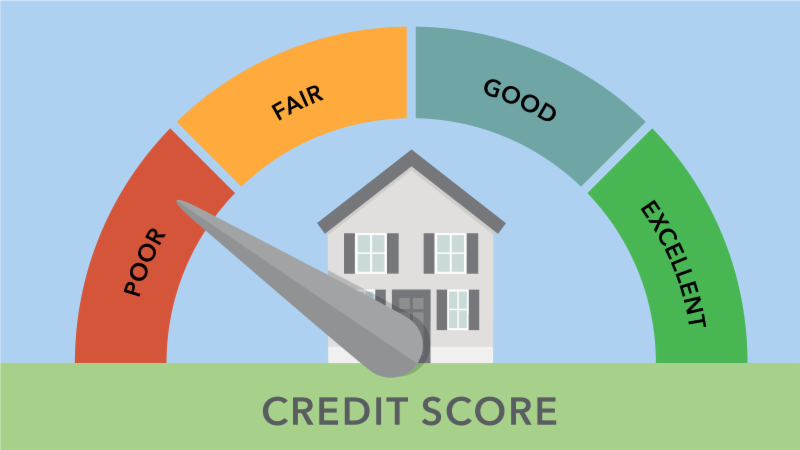 If you would like to take a look at your 3 consumer credit report and scores as well (different from lender scores, but still useful) then a good place to begin is www.TotalCreditScores.com. Once you access your reports, be sure to review them carefully. Credit reporting errors are common and have the ability to really damage your credit scores. If you find mistakes or questionable information appearing on your credit reports, remember that you have the right to dispute that information with the credit reporting agencies. There can be a lot of value in asking a credit repair expert to help you. You certainly have the right to try to resolve your credit problems on your own, but if you feel overwhelmed there is no reason to try to struggle through your credit issues alone. CLICK HERE or call 214-856-0068 to get started renovating your credit and your lifestyle.